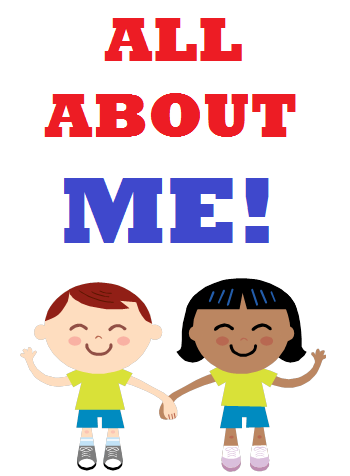 “All About ME Week” is Next! After an amazing and fun-filled summer, the students of Park Prep Academy returned on Wednesday for the first day of the 2012-2013 school year – and what a day it was! Like the true preschool professionals they are, the older students of Park Prep helped usher in the new wave of “underclassmen”. Throughout the short week, the older students helped the younger/new students get acclimated to school and learn all of the different areas of the classroom. This was particularly helpful during morning stations (i.e. morning small group play areas) and with the daily routine. The students, both new and returning, spent their morning exploring the classroom, learning the daily routine, and of course, doing their morning work. 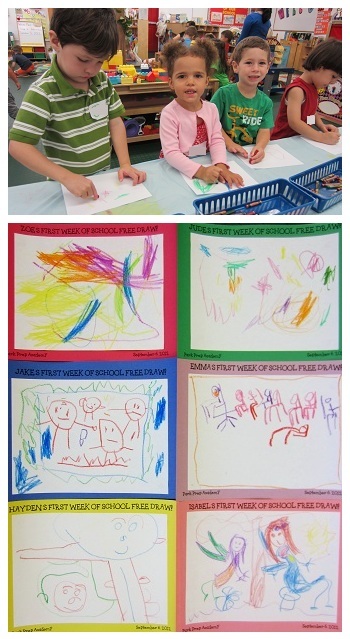 Morning work during “Welcome to PPA Week” included the following art projects. First Day of Preschool hand print art for the newcomers! First week back Free Draw for the returning students! For both new and returning students, a partner-paint! The students were grouped in pairs. Each student introduced him/herself to the partner then selected a color to paint with. Each partner began by painting with the chosen color. After a few minutes, the partners swapped sides and began adding to their partners painting of the opposite color! In the end, each partner’s painting had a piece of their friend’s artwork too! What a special art project and more importantly, special friendship! On Friday, the students worked together to create the first batches of play-dough of the school year! Once all of the batches were created, there was so much play-dough left over that the teachers decided to put a little ball in a baggie along with a recipe for each student to take home! Here they are in action! To help the students remember the rules, the teachers introduced them to two classroom puppets – Oscar the Octopus and Mambo the Bird. The teachers explained that Oscar always did a great job following the rules of school. Mambo, on the other hand, did not always do such a great job following the rules of school. Watch below as the students learn about Rule Number Four – Be a great listener. Once the puppet show had ended, the teachers took time to congratulate all of the students on such an amazing first week of school. The students were beaming with pride as they headed off to their afternoon stations. Wow! What an amazing week “Welcome to PPA Week” was. The 2012-2013 school year is bound to be the best one yet! As always, thank you for reading. Have a fun and safe weekend! Send in a Family Photo + All About Me Posters Due Next Week! Please try to send in the poster as early as possible to ensure that your child has an opportunity to share this poster in front of his/her classmates.